We left early on Friday morning, in hopes of beating the Los Angeles traffic, and headed for the central coast of California. The drive up Interstate 5 had us looking in the sky for glimpses of the Space Shuttle Endeavor (no luck seeing it along the way). The outside temperature was reaching the 80's by the time we drove through Paso Robles, and hooked up with the 101 freeway. The Salinas Valley was busy with workers picking fruit and harvesting lettuce. The grapevines on either side of the highway stretched for miles. We turned off at the town of Salinas, and the conversation turned to Steinbeck's Grapes of Wrath. Soon we passed the old town of Spreckels, and the view of the old C&H sugar silos. We soon arrived in Monterey, and the temperature had dropped to the mid 50's. Our hotel was located right on the water. The Best Western Plus Beach Resort is a bit dated (it was originally the Holiday Inn) but the staff was great, and the location was perfect. The room looked out over the ocean, and the seals, dolphins and otters were a welcome sight for those of us who live in the mountains. We had planned on doing some wine tasting on the way up, but really didn't see any tasting rooms along our route. We later found out that the few wineries that had tasting rooms at their vineyard, were fairly well spread out. Since we arrived so early, we drove to Fisherman's Wharf for a bowl of clam chowder, and a bottle of Ventana Chardonnay. Our group consisted of 23 friends, wine club members, and their guests. I had been planning the trip for about six months, and arranged a tour for the entire group on Saturday, and researched the best restaurants in the area for dinner arrangements. Reservations were made months in advance, and the first test of the trip was dinner at Montrio Bistro (a converted fire station). The service, atmosphere and food met all expectations. The only drawback was how loud the place got, and with a large group, I missed out on the conversations at the other end of the table...but not their wine! Most of us ordered local wines. The hits of the evening were the Morgan Santa Lucia Highlands Pinot Noir, and the Bernardus "Marinus" Carmel Valley Bordeaux Blend. On Saturday morning we gathered in the lobby of our hotel, and I met Evan Oakes in front of the hotel. Evan owns a business specializing in agricultural tours, called Ag Venture Tours. We left about 10:00am and headed towards our first stop. As we drove through the Salinas Valley, Evan identified at least 25 different crops along the way. He filled us in on history, geography, geology and culture of the area. We arrived at our first stop, the Marilyn Remark Winery. We showed up a bit early, so spent some time walking around the neighboring artichoke field, and learned about the difference between perennial and annual artichokes. Marilyn Remark is located at the foothills of the Santa Lucia mountains, along River Road (the main road for wine tasting in this area). The owners, Joel Burnstein and Marilyn Remark, met us in the tasting room, along with their golden retriever. Marilyn Remark specializes in Rhone varieties (unusual for this area). We tasted our way through whites, rose, and reds. These are all small lot production, with attention to the final product. If you are looking for an intimate wine tasting experience, where you can be one on one with the winemakers, this is a must. The next stop found us in the Santa Lucia Highlands (a series of alluvial fans that spread out from the Santa Lucia Mountains). He headed up the hill to Hahn Winery. The first thing you notice is the view. From the tasting room, you look across the Salinas Valley, and the Soledad Mission below. On the other side of the valley stands the Gabilan Mountains, the the Pinnacles National Monument. Hahn is the site of the Smith & Hook Horse Ranches. 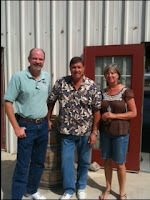 Now they are one of the larger wine producers in the region. The focus is on Pinot Noir, but Syrah, Cabernet Sauvignon, Pinot Gris, Viognier and Chardonnay are also in play. After a quick picnic lunch overlooking the valley below, we headed off to our next stop. 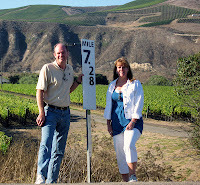 A little further up the road, we stopped at Paraiso Vineyards, also in the Santa Lucia Highlands. We all stopped at the entrance to gather around the cork tree. While the rest of the group went in to start tasting, I wondered over to the equipment yard to take a look at the mechanical picking machines that were being readied for the impending harvest. Back in the tasting room, Reisling, Chardonnay and Pinot Noir were presented. What I really liked was that I could buy the Pinot Noir in half bottles...and I did just that. 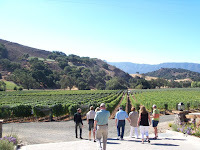 Our last stop was at Ventana Vineyards, in the Arroyo Seco AVA. When we arrive, there were a number of other people in the small tasting room, but the tasting room staff handed us glasses, and started pouring...and pouring...and pouring. Unlike the previous three wineries, who specialized in certain grape varieties, I felt like Ventana was all over the place. We tried Reisling, Gewurtztraminer, Chardonnay. Orange Muscat, Sauvignon Blanc, Rose, Blends, Pinot Noir, Grenache, Cabernet Sauvignon, and Tempranillo. After a group shot in front of the barrels, we headed out to the vineyard, and tasted the ripe Tempranillo, Muscat, and Chardonnay grapes. We arrived back at our hotel around 5:20pm, met up with another couple for some cheese and a bottle of Cabernet Sauvignon. We had dinner reservations at Grasings in Carmel. Fourteen of us had a somewhat disappointing dinner. The food was good, not great (somewhat soggy abalone, and paella that was missing sausage). The problems started when we ordered wine from the wine list, and they were out of the wines we requested. Now, normally I would just pass this as a slip up by the sommelier, but....we were split into two different tables, and both tables ran into the same issue. When the wine was out of stock, the server recommended a different winery, that was "a better value" than the one we had ordered. The problem...at both tables, we were up-sold by $20 to $30 on the replacement wine. The service was so-so, and by the end of the evening, I thought our server was ready to quit. I hate to give a negative review, but this place deserves it. It was the most expensive meal of the weekend. We did have some good wines with the abalone: Talbott Chardonnay and Chalone Rose. Friday through Saturday, we explored the foods and wines of Monterey/Carmel. Only one negative, and a bunch of positives. Check in for next weeks blog, for the adventures on Sunday and Monday, with a much smaller group. Sunday was the day for surprises. 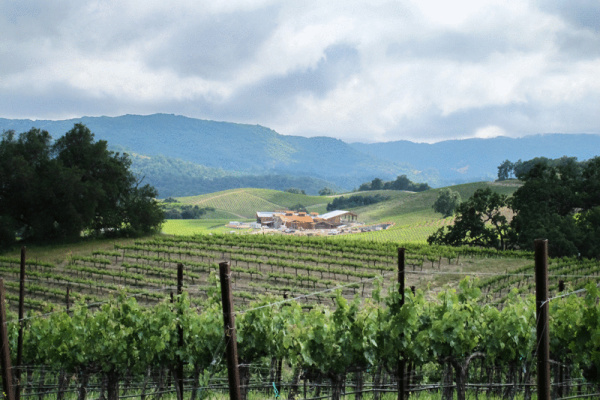 Napa Valley, and Sonoma get all the attention in California. But, did you know that the Central Coast AVA (American Viticultural Area) is the largest in the state? This massive coastal appellation stretches about 250 miles from San Francisco to Santa Barbara. The appellation was granted based on the shared cooling influence of the Pacific Ocean. There are over 360 wineries covering more than 100,000 acres under vine. Many of these wineries rank among the smallest boutique wineries to the some of California’s biggest players. Inside this large AVA, are a number of smaller, more specific areas. Each has its’ own special features, climate soil, and grape varieties. Some are well known, and others…not so much. I thought it would be fun to take a look at the areas that make up the Central Coast. I broke down the areas within the broader Central Coast AVA from north to south. The San Francisco Bay AVA is a large appellation centered around the San Francisco Bay Area. The AVA was created in 1999 and encompasses over 1,500,000 acres. Urban sprawl affects most of the area, so the acreage under vine is pretty limited. The AVA includes four smaller designated areas: Livermore Valley AVA, Pacheco Pass AVA, San Ysidro District AVA, and Santa Clara Valley AVA. 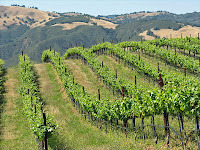 The most famous of the smaller areas within the San Francisco AVA is the Livermore Valley AVA. 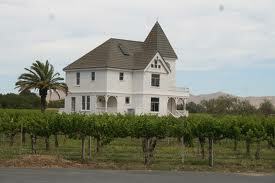 Wine has been grown here since 1882, with the Cresta Blanca Winery. It was known for winning the Grand Prix at the 1889 Paris Exposition with its’ first vintage (a 1884 white wine). Wente Vineyards is the largest producer (about 300,000 cases) in the Livermore Valley. It was first established in the valley in 1883. The next largest producer, Concannon Vineyard, makes around 30,000 cases per year. The valley is also known for its’ original plantings of Semillon and Sauvignon Blanc taken from Château d'Yquem, in France. 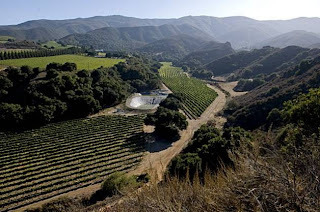 Pacheco Pass AVA (granted AVA status in 1984 following a petition by the Zanger family, and the only winery in the appellation, Zanger Vineyards) and San Ysidro District AVA (the coolest AVA within the Santa Clara Valley). 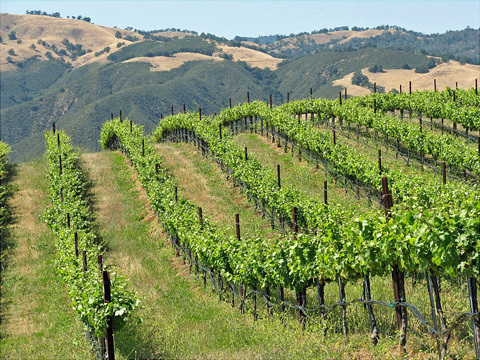 The small Santa Cruz Mountains AVA was established as one of the first mountain based AVAs in 1981. It includes the following sub-regions: Skyline, Saratoga/Los Gatos, Summit, the Coastal Foothills, Ben Lomond Mountain AVA, and Corralitos/Pleasant Valley. Arroyo Seco AVA has a cool climate, and is best suited for those grape varieties that benefit from the cool afternoon breeze. The area is known for its gravelly soil that absorbs heat during the day and radiates that heat in the evening. This helps keep the grapes from freezing at night. Chardonnay is the main grape here. Carmel Valley AVA is the only wine area in Monterey that faces the ocean. Because of this the vineyards are mostly located at 1,000 feet above sea level or higher, where coastal fog and wind are less common. Hames Valley AVA became an AVA in 1994. The soil in the valley is shale and loam, and the climate is hot versus other regions of Monterey. The San Antonio Valley AVA was established in 2006. The area has one of the longest grape growing traditions in the United States when the mission of San Antonio de Padua was first established in 1771 with a small vineyard. The San Bernabe AVA was created in 2004 as a result of a petition by Delicato Family Vineyards, whose 8,700 acre San Bernabe Vineyard is currently the world's largest continuous vineyard. San Lucas AVA is rarely seen on bottles. The area was petitioned by the Almaden Vineyards, but since Almaden left the area, you just don’t see it. Chalone AVA is an in both the Monterey and San Benito counties, located in the Gabilan Mountains (just below my old hiking grounds at Pinnacle National Monument). The 8,640 acres region is named for the nearby Chalone peaks. The region is very arid, has limestone and decomposed granite soil, and is known for wines that can age well. Mt. Harlan AVA is located in San Benito County. It is located in the Gabilan Mountains. At elevations up to 2,200 feet, the soil is predominately limestone. The AVA was established as the result of a petition filed by Josh Jensen and the Calera Wine Company. If you haven’t read “The Heartbreak Grape”, you should. It is the story of this fine winery. Cienega Valley AVA was once a major source of wine grapes for Almaden Vineyards. Approximately 1,100 feet above sea level, the soil is a mix of granite sandstone and limestone (depending which side of the valley you are on). Within the Cienega Valley AVA is the smaller Lime Kiln Valley AVA (there is only one vineyard in this AVA, and it is owned by the Enz Family. The vineyard contains some of the oldest Mourvedre plantings in the state, dating back to 1922). The Paicines AVA is warmer than other nearby regions in San Benito. 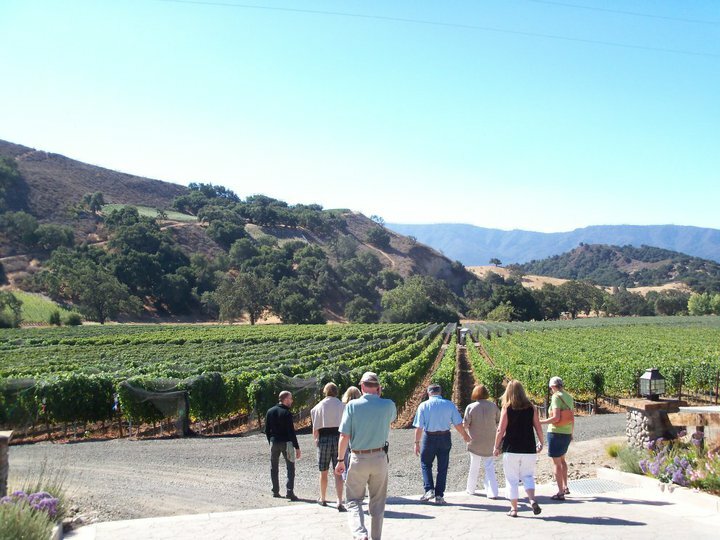 The appellation is home to the Vista Verde Vineyard, a 500 acres vineyard once owned by Almaden Vineyards. 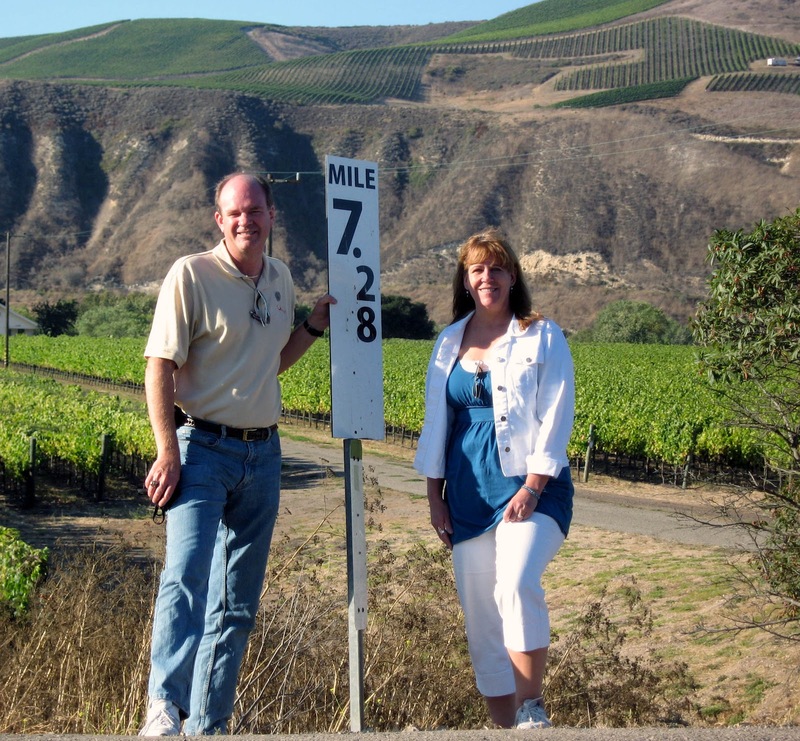 Paso Robles AVA is the largest area within the Central Coast, at over 600,000 acres. It has approximately 26,000 acres under vine. Rather than recapping here, you can check out my previous blog on Paso Robles. Edna Valley AVA is south of the city of San Luis Obispo and north of the town of Arroyo Grande. The valley is surrounded on three sides by mountains, which trap the fog, and create some issues with fungal diseases. The volcanic mountains contributed to the black humus and clay-rich soils. Edna Valley has one of California’s longest growing seasons. The AVA is most well known for its Chardonnay, Pinot Noir, and to a lesser extent Syrah, but I have found some great dry Reisling and Gewurtztraminer at Claiborne & Churchill. Grapes were originally planted in the AVA by Spanish missionaries in the early 19th century. Arroyo Grande Valley AVA is a16 mile long appellation (42,880 acres) It benefits from it east-northeast orientation which allows the breeze from the Pacific Ocean to moderate the climate of the area. This is one of the coolest growing regions in California, and has gained a reputation for the old vine Zinfandel dating back to 1880, at Saucelito Canyon Winery. Santa Maria Valley is approximately 7,500 acres. Grape growing in this region dates back to the Mexican Colonial period of the 1830s. 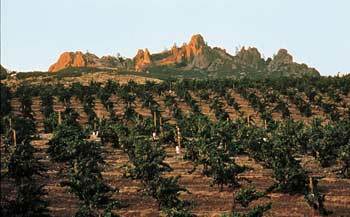 In the late 1960's commercial vineyards were planted to supply wineries around the state. The Santa Maria Valley is a natural funnel-shaped valley opening west to the Pacific Ocean. The elevation of the area ranges from approximately 200 feet to 3,200 feet at Tepusquet Peak. The soils within the area range from a sandy loam to clay. Since the valley opens to the ocean, there is no stopping the sea fog. This creates a cool growing environment. The valley features a long growing season and very little rainfall. The Santa Maria Valley AVA is home to many well-regarded vineyards, including: Au Bon Climat, Byron, Cambria, Foxen, Riverbench, Rancho Sisquoc, and Lucas & Lewellen. 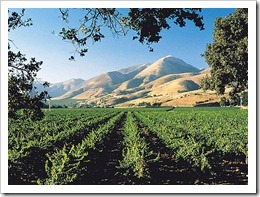 The Santa Ynez Valley AVA is located in Santa Barbara County. It contains the greatest concentration of wineries in Santa Barbara County. The valley is formed by the Purisima Hills and San Rafael Mountains to the north and the Santa Ynez Mountains to the south. There are two subregions within the AVA: Happy Canyon of Santa Barbara AVA and Sta. Rita Hills AVA. Happy Canyon of Santa Barbara AVA is the newest appellation in the Central Coast and is located on the very east end of Santa Ynez Valley. This new area is known for its’ warmer micro-climate and its’ minerally soil. My favorite California Sauvignon Blanc comes from vineyards in this area: Dragonette Cellars Happy Canyon. For those of us living in Southern California, this is our wine region. Sure we have Temecula, but for distinctive wine tasting regions, the Central Coast is the place to go. Variety reigns supreme, and the styles, terroir, and climate are all across the board. As of this writing, I am in the process of organizing a wine tasting group up to the Monterey area, and look forward to reporting back to you on the adventures along the Central Coast of California. 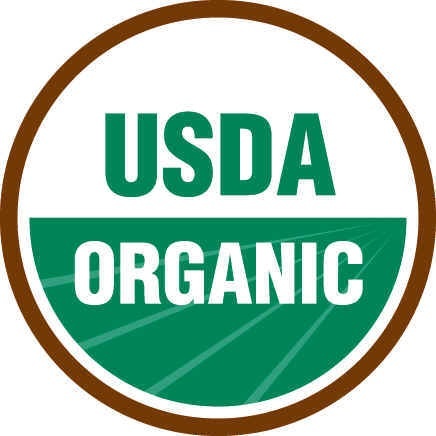 Lately, I have been seeing more and more wineries claiming that they are “Certified Sustainable" and it got me wondering, what is the difference between “Sustainable” and "Organic"? Both systems value soil and water, and how it affects not only the plants, but also animal and microbes. 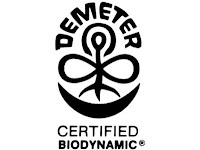 For followers/believers of "terrior", sustainable winegrowing is particularly relevant. Caring for the vineyard's soil and environment is a basic necessity of terroir. In today’s health conscience society, some other benefits of sustainable winegrowing would include increased consumer interest, and a healthy place for growers and pickers to work. Participants assess their own vineyards and voluntarily contribute data to measure their adherence of sustainable practices. The important point to remember is that “sustainable” does not mean “organic”, and “organic” does not mean “sustainable”. They can be easily confused by the average consumer, but they are not interchangeable. “Sustainable “vineyards can use man-made chemicals to control pests, but the grower is evaluating the entire environmental system, and determining how best to keep the system in balance, while minimizing the affects on the ecosystem. “Organic” vineyards are managed without the use of pesticides, man-made chemicals, or fertilizers. While we have been reviewing what goes on in the vineyard, these same practices are carried over into the winemaking process, and can affect the final product you receive in your glass. It is important for consumers to understand all these different terms that are thrown out there. 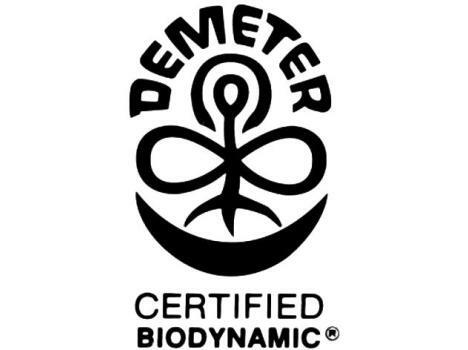 In addition to “sustainable” and “organic”, watch for “biodynamic” wines. I had briefly written about these in a previous blog about Ampelos Cellars. So, next time you are in a winery, or even a wine shop, ask some questions about the type of farming used for the grapes, and practices the winemaker and winegrower follow. See if you can taste the difference, and experience the “terrior” of that winery. In the United States, the first weekend of September is a holiday weekend. Labor Day typically is considered the end of the summer season. A 3-day weekend to spend time with friends and family, have a barbecue, and prepare for the Fall season. What is better than barbecue and wine? Like most of you, I too spent Monday with friends, and a barbecue. But, being the wine guy that I am, I added a little twist to our gathering. You see, I had just finished reading "Zin: The History and Mystery of Zinfandel" by David Darlington. While the book talks about a number of different Zinfandel producers, the "battle" for supremacy really came down to Ridge and Ravenswood. So, I thought it might be fun to see which one people thought was better. A blind tasting of Zinfandel, while eating foods off the grill would be the perfect taste test. I purchased a bottle of the Ridge 2009 Lytton Springs and the Ravenswood 2008 Dickerson Zinfandel, then asked each guest to bring a bottle along with a side dish. We ended up with seven different Zinfandels (and actually only one duplicate bottle). All the bottles where put into tasting bags (except one, since I only had six bags). Each bag was numbered. Even I did not know what bottle was in which bag...though I had a clue to one bottle which showed up very cold, versus the others...a dead giveaway on which one it was. In addition to the Ravenswood and Ridge, we had 7 Deadly Zins 2009, San Marcos Creek 2009 Estate Zinfandel, Tobin James 2008 Dusi Vineyard Zinfandel, Earthquake 2010 Zinfandel, and Adelaida 2008 Zinfandel (not included in the blind tasting, but opened up afterwords). There was no particular order to the tasting, so everyone kept track of which wines they tried, and were able to go back and forth to narrow down which was their favorite. We actually did the blind tasting before ever getting to the barbecue (I guess my friends just want to get down to business when it comes to drinking wine). I took note of the comments made on each wine. Number one was considered very unusual, and did not taste anything like the others. It had some smokiness to it, and a bit of mocha on the nose. For drinking on its' own, this was the least favorite of the group. However, when paired with the barbecue later, this was the second favorite food wine. It turns out that this was the only wine that also had Petite Sirah, and Carignane blended in. The wine definitely improved once opened for a while. If you are to drink this one, open it early or even decant it. It is a big wine. This was the Ridge 2009 Lytton Springs from Sonoma. Number five was very fruit forward and jammy, with just a touch of spice. The alcohol was fairly aggressive, and some didn't like the bitter finish. This was the 7 Deadly Zins 2009 from Lodi. The last wine in the blind tasting (#6) was by far the fruitiest, most jammy of the bunch. (and by far the darkest in color). This wine had the most noticeable alcohol content, and as a sipping wine was the favorite of the group (however the San Marcos won for best with sipping and food). This was the Earthquake 2010 Zinfandel from Lodi. 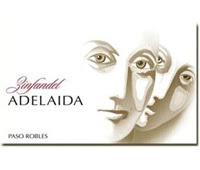 Lastly, we had the Adelaida 2008 Zinfandel with dinner (as we had finished off all the other Zins, so I opened up some of my private stock). This was a well balanced wine with some spice and fruit. It was not nearly as heavy as the Earthquake Zin, but not as light as the San Marcos Creek. It went very well with the barbecue. We ended the evening with some Ghiradelli Chocolate Brownies, so I thought a Zinfandel Port might be a good finish. As it turned out, I didn't have any in my cellar, so we settled on a St Clair Port (a unique blend of Cabernet and Muscat), from New Mexico. Presented in a 500 ml ceramic bottle and a porcelain cap, the wine worked great with the brownies, and presented a nice finish to the evening. I must point out, that most of the tasters in this group like fruitier wines, and when it comes to Zinfandel, you can find fruity to spicy and everything in between. I tend to enjoy wines that work best with the foods I'm serving. Remember, taste and wine preference is personal, don't rely on someone else's tasting notes, unless you know that you like similar style wines. So what is your favorite Zinfandel? Try a blind tasting with your friends, and see how your favorite stacks up. You might be surprised.